VERY excited to receive my 2nd box from Stitch Fix Clothing Subscription today! It is like Christmas! As a mom and business owner I make decisions for a lot of people all day long and it is so nice to have someone pick things out for me. Not only do they pick things out for me, they mail them to me and send a little card full of ideas on how to wear them, it is amazing! So, how does the Stitch Fix Clothing Subscription work: You pay $20 to have your stylist create a storyboard and pick out 5 items for you. They box them up and send them to you. These items are all based on your feedback and needs so they are all valid items! You try them on and read your board. If you keep just 1 item you automatically get the $20 you put down as a credit towards that 1 item. 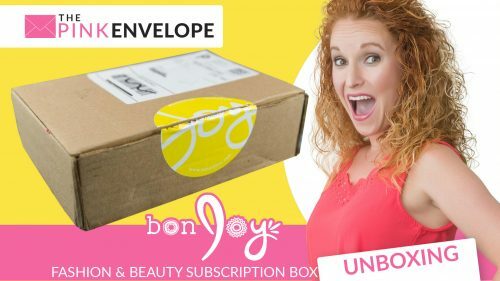 If you keep all 5 things they send you, you get an additional 25% off! In my 1st box I kept my 5th item, a blue plaid skirt because by the time the styling fee and discount was applied it was Free! And honestly now, it is one of my favorite items and I can't wait to make it work in my wardrobe! In this Stitch Fix Clothing Subscription box I got a pair of skinny corduroy dark green pants and they are SO cute however they are a full size too big. So I will be learning more about the exchanging process here soon. More to come on this. To see my 1st box visit My 1st Stitch Fix Box. 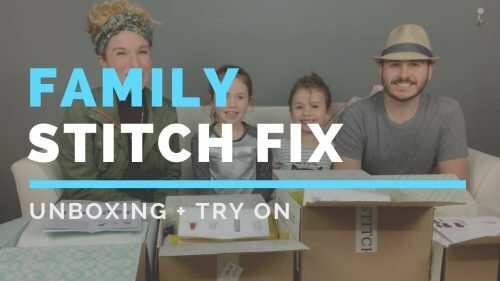 Subscribe here: Stitch Fix Sign Up & See MANY more Stitch Fix Unboxings here. To see photos of me in my outfits please visit our Instagram page or our Facebook Page.